The Kovenant is a Norwegian band formed in 1993 which has evolved from symphonic black metal to industrial metal and avant-garde metal on more recent albums, shaping the style that Psy Coma (in those days known as Blackheart) coined after the release of Nexus Polaris: Progressive Space Metal. 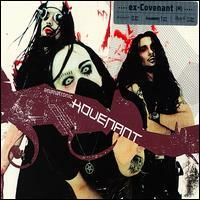 Originally the band was called Covenant, but due to a dispute with the Swedish electro band with the same name, it was later changed to The Kovenant. The Kovenant (at the time known as Covenant) was formed in 1993 by two black metal artists known as Nagash and Blackheart; they both met when Blackheart decided to help Nagash with his one-man band, Troll. After releasing a demo titled From the Storm of Shadows no one seemed to pay attention to them, but finally a record label, Mordgrimm, took notice of them and released their first album, In Times Before the Light in 1997. The album was created when they were both at a young age and they established a fan base in Norway. At 1998 the band released their second album through Nuclear Blast, the album was titled Nexus Polaris. It marked a significant point in their sound's formation, the album featured less of the grim guitars, and had much more keyboards work than before. 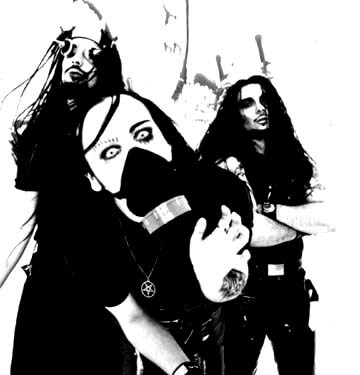 The album featured Nagash, Blackheart, Astennu (on the Guitars, who later joined Dimmu Borgir), Sverd (of Arcturus on the keyboards) and Hellhammer (of Mayhem and Arcturus) and Sarah Jezebel Deva on the backing vocals (Cradle of Filth). Thanks to successful promotion inside Norway, the album has met good success in Norway. The band was nominated for the Norwegian Grammy award, winning the Best Hard Rock Band category. 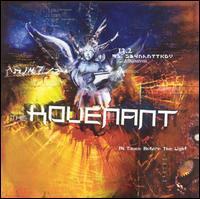 Then in 1999, The Kovenant recorded and released, Animatronic and it showed them going from symphonic black metal to industrial metal. With the change of the band name, the members decided to change their names as well to suit their new direction. Nagash became "Lex Icon", Blackheart became "Psy Coma", and Hellhammer became "Von Blomberg". They won another Norweigan Grammy and gained a new member while they toured the USA named Angel. 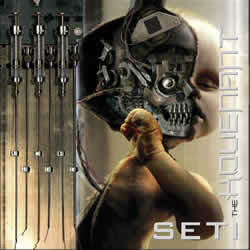 The band found themselves back in the studio in 2002 recording, S.E.T.I., their fourth album. Deciding to do more touring Von Blomberg left the band to handle other projects. Two new members were recruited, Küth (of Ram-Zet) on drums and Brat (of Apoptygma Berzerk) on keyboards. Now we wait for their latest creation, Aria Galactica, to take shape.